Silver is widely known for its use in luxury goods such as jewellery and silverware. It is malleable and has a highly appealing aesthetic finish making it suitable for jewellery manufacture, but its uses are gradually being explored in other areas. Silver is widely known for its use in luxury goods such as jewellery and silverware. It is malleable and has a highly appealing aesthetic finish making it suitable for jewellery manufacture, but its uses are gradually being explored in other areas. 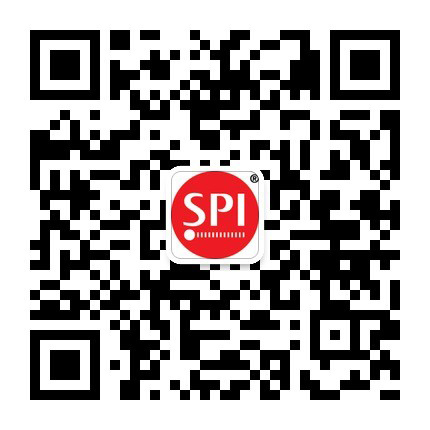 Known as the white metal due to its high reflectivity and resistivity against corrosion and oxidation, silver is now widely used in other industrial applications such as electronics and the energy sector as is an excellent thermal and electrical conductor. 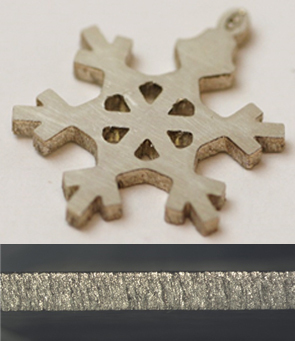 Silver is highly reflective, making it a challenging material to cut with lasers. The type of assist gas can greatly affect whether back reflections are a significant issue or not. For silver cutting, nitrogen or oxygen assist gas can be used, where nitrogen results in a slower, cleaner cut but can allow the system to generate significant back-reflections, whilst oxygen produces a faster cut with less risk of back-reflection. Using 1.5mm thick sterling silver and our redPOWER 1.5kW QUBE single mode fiber laser with oxygen assist gas and modulating with a duty cycle of 65% at 800Hz produces a high quality cut. 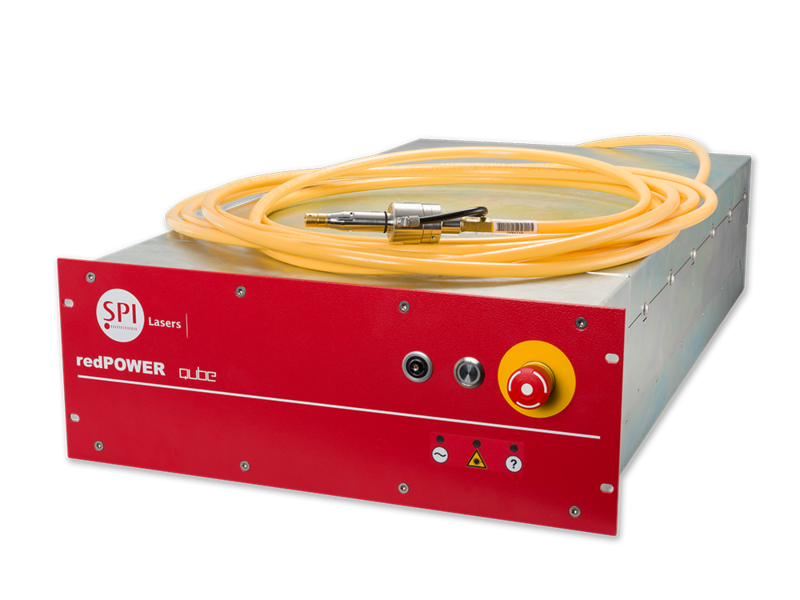 By modulating the laser beam, a combination of higher peak power and lower average power can be used to produce clean cuts in highly reflective metals. The 1.5 mm plate of silver was cut at 2.0 m/min using 14 Bar of O2 as assist gas, producing a good quality dross-free cut.